ONE of Australia's living legends is coming to Mary Ryan's bookshop in Hervey Bay to talk about his life and discuss his new book. Bob Irwin, father of the late Steve Irwin, will be at the bookshop on January 28 from 12.30pm to 2.30pm. 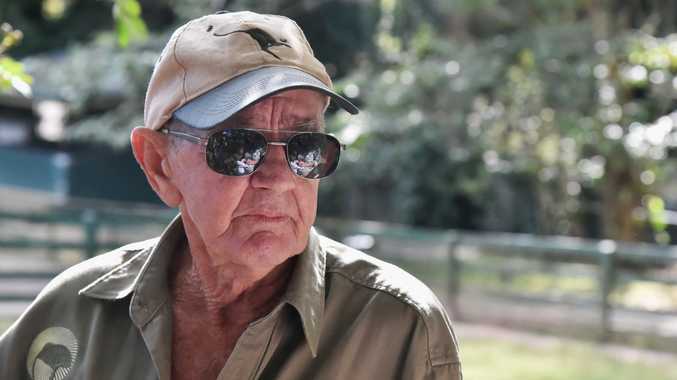 The book, titled The Last Crocodile Hunter, tells the story of Bob's life, including his work with wildlife, as father to Steve and as the founder of Australia Zoo. In a statement to promote the release of the book, Bob said when his son died in 2006 the animals lost the best friend they ever had and so did he. "But he's still here with me and knowing that means that I am able to gain strength from him and harness the same passion and drive that he and I had together," he said. "There are so many people who have been inspired and are still being inspired by Steve Irwin and that makes me feel really, really proud." The book, which was co-written by Hervey Bay's Amanda French, will be available for purchase on the day. Steve Irwin's lost letter: "I'm starting to figure it out"